Look at this photo... Deforestation in Haiti is much worse than you think... 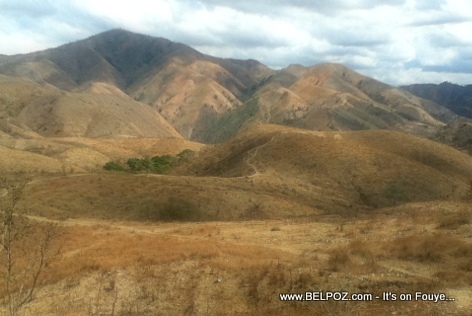 I was so shocked when stood in font if this mountain range near Los Cacaos, Plateau Central Haiti, along the Haiti-Dominican Border while cruising along the international road that separate the two countries. It looks like you can walk for miles and not be able to find a good shade. there are no trees, no houses... No life! Some of Us Haitians talk about deforestation in Haiti but we never actually see it. Each and every Haitian needs to take a good look at this photo and admit it... If we continue to cut trees in Haiti this is what the hole country will look like.